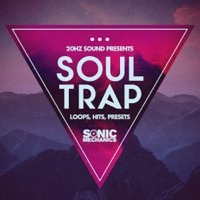 Sonic Mechanics and 20Hz Sound team up to present Soul Trap. 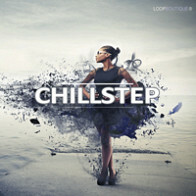 A selection of Royalty Free Loops, Hits and Presets for the creation of Soulful Trap Music, Future Hip Hop and Dark RnB. 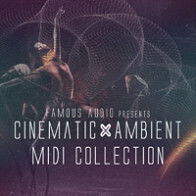 Containing over 900MB of Luxuriant Pads, Deep Pulsating Basses, Sub Pitched Vocals, Tight Snapping Drums and Silky Smooth Leads this collection gives producers all the elements needed to create moody Trap masterpieces from the ground up!In detail producers should expect to find here a collection of 171 Wav loops, including 31 Full Drum Loops, 18 Hi Hat Loops, 14 Kick and Snare Loops, 48 Synth Loops, 33 Bass Loops and 27 FX Loops. In addition there are 129 Rex Loops enabling Producers to have complete control when warping sounds to fit their compositions. The single hits folder contains 125 One Shot Samples, including 27 Hi Hats, 13 Kicks, 13 Snares, 25 Fx Hits, 29 Key labelled Bass Hits and 18 Key labelled Synth Hits. 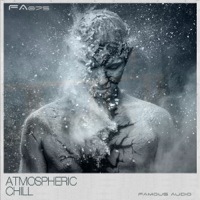 Also Included is a massive 63 Sampler Presets for Exs24, Kontakt 3+ and Halion. These include playable Basses, Synths and Fx as well as all the single hits as Instruments for ease of use within your productions. 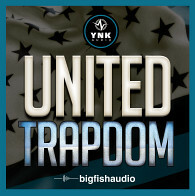 Soul Trap was created to be the perfect fit for producers creating Trap, 808 RnB, Soulful Electronica, Future Hip hop, Grime and Chilled House but the pack also contains elements that would be perfectly suited to give genres including Garage, Electronica, Edm, Drum and Bass and Techno a soulful edge. 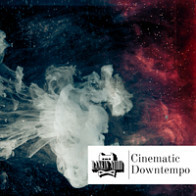 If you're looking to inject your next production with a Deep, Soulful Character Look no further! The Following End User License Agreement is included with 20Hz Sound Presents Soul Trap. This License is only valid for the individual who has purchased an unopened, new and lawfully made copy of 20Hz Sound Presents Soul Trap from a dealer or distributor authorized by Big Fish Audio. "All Rights not expressly granted to the user are reserved. The Sounds remain the property of its manufacturer and/or Sonic Mechanics. (Collectively, "Licensor") and are licensed to you as the original end-user ("Licensee"), for use subject to the provisions below. All rights not expressly granted herein are reserved exclusively by Licensor. (A) The Sounds in a category of 'Sample Pack': The Licensee may use the Sounds in combination with other sounds in music productions (which include soundtracks of such as films, video productions, radio/TV programs or commercials, computer games and multimedia presentations, library music), public performances, and other reasonable musical purposes within musical compositions. The Licensee may modify the Sounds and may use the Sounds for commercial purposes as part of a musical composition with other sounds. The Licensee MAY NOT use the Sounds in isolation as sound effects or as loops (i.e. a sequence of musical events) or any competitive products that are sold or relicensed to multiple third parties. A right to use the sounds is granted only to the Licensee and is NOT transferable. This license expressly forbids resale, relicensing or other distribution of the Sounds, either as they exist or any modification thereof. You cannot sell, loan, rent, lease, assign, upload to or download from any server, or transfer all or any of the enclosed sounds to another user, or for use in any competitive product. 4. Licensor will not be responsible if the sounds does not fit the particular purpose of the Licensee. All Rights reserved."